Each paragraph is focused on one key point. 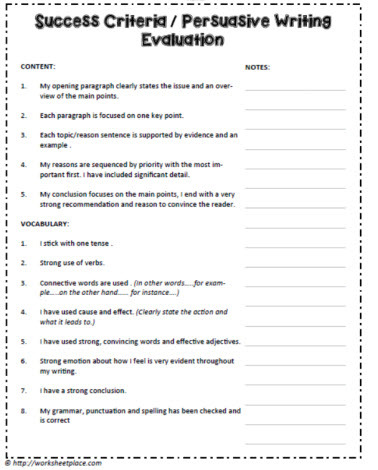 Each topic and reason sentence is supported by evidence and an example. recommendation and reason to convince the reader. I stick with one tense. I have used strong, convincing words and effective adjectives. Strong emotion about how I feel is very evident throughout my writing. I have a strong conclusion. My grammar, punctuation and spelling has been checked and is correct.